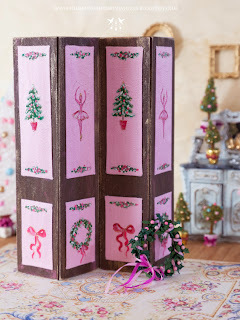 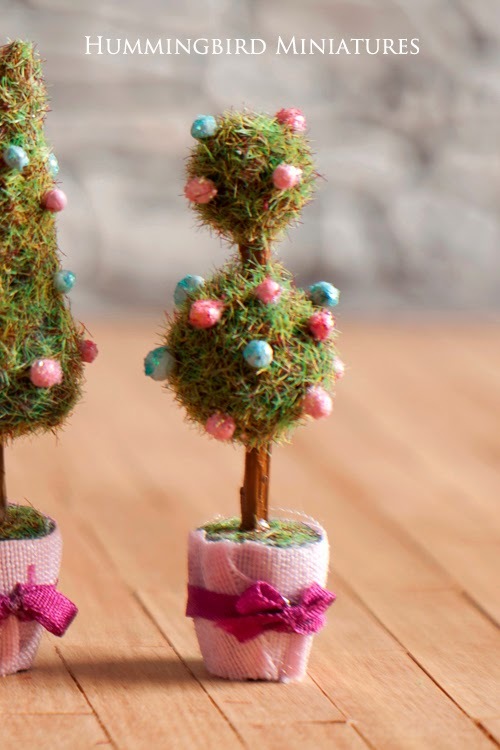 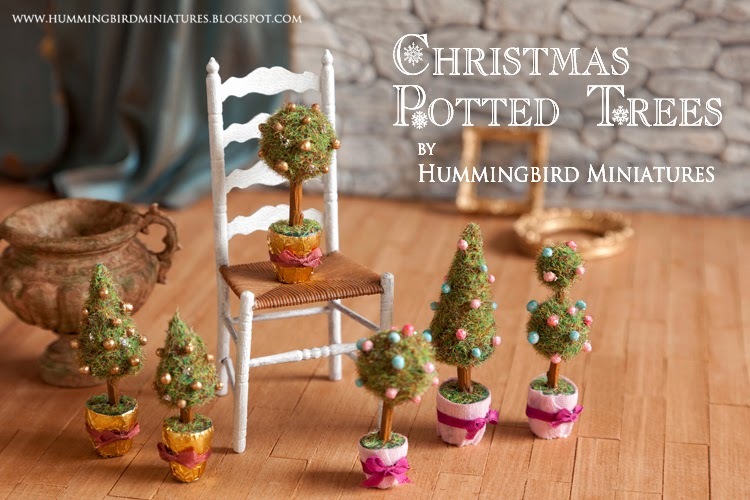 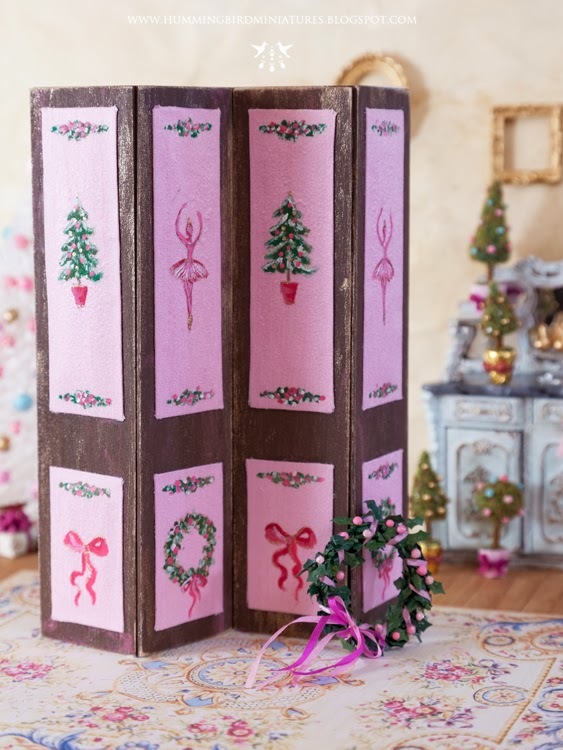 You may have noticed that much of my Christmas 2013 range has been pink in some way. 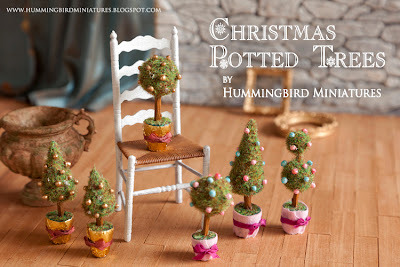 It's because I was inspired by the Nutcracker Ballet and I may have become carried away! 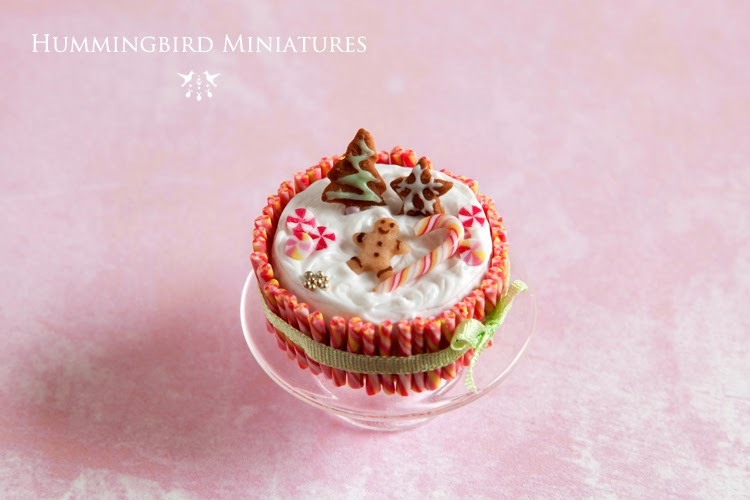 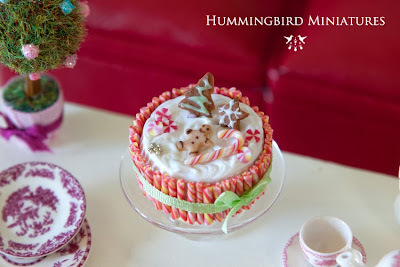 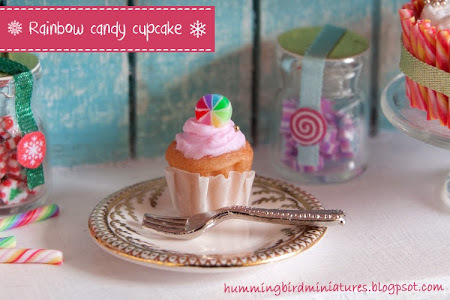 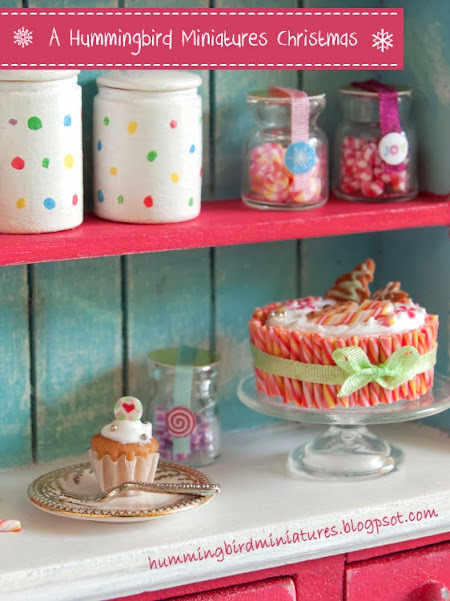 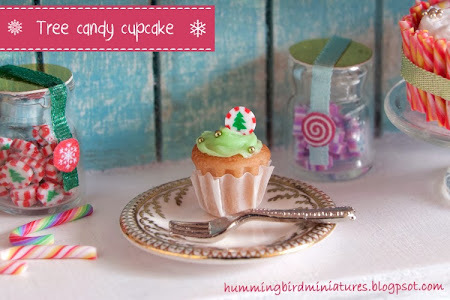 To complete the pinkish theme, here's a cute Christmas cake which is made with pink and yellow candy canes and decorated with little iced biscuits. 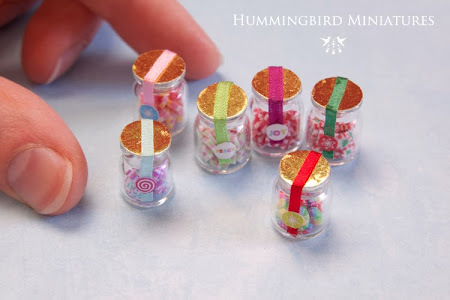 All of the candy is handmade by me as I never buy pre-made canes. 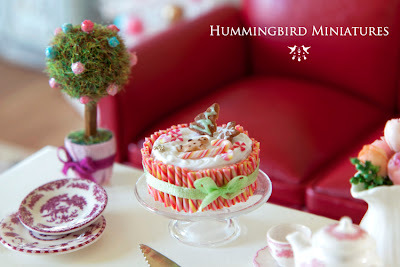 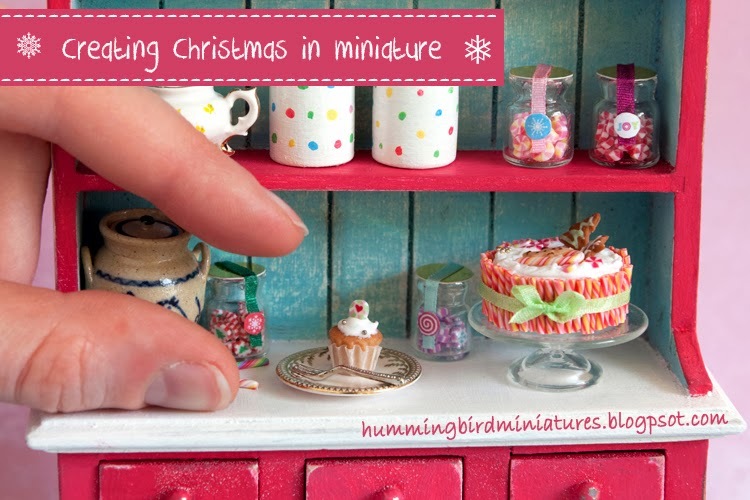 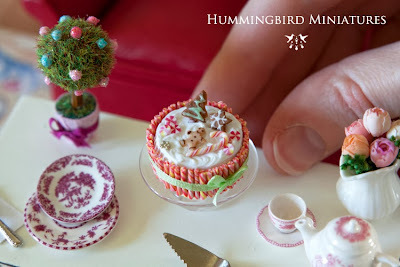 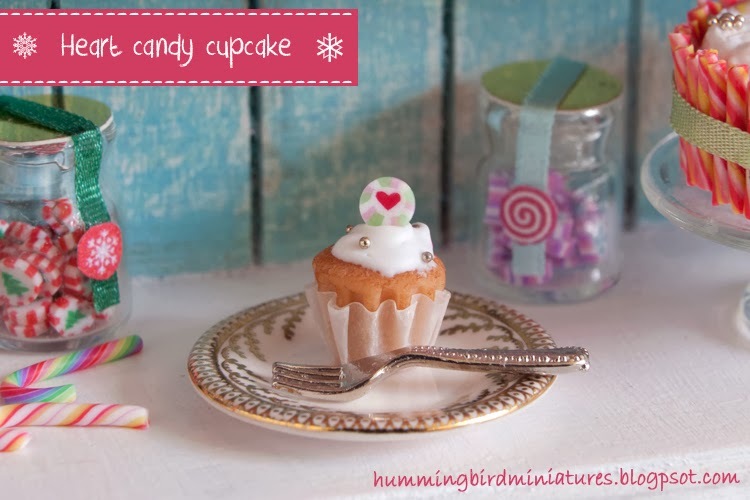 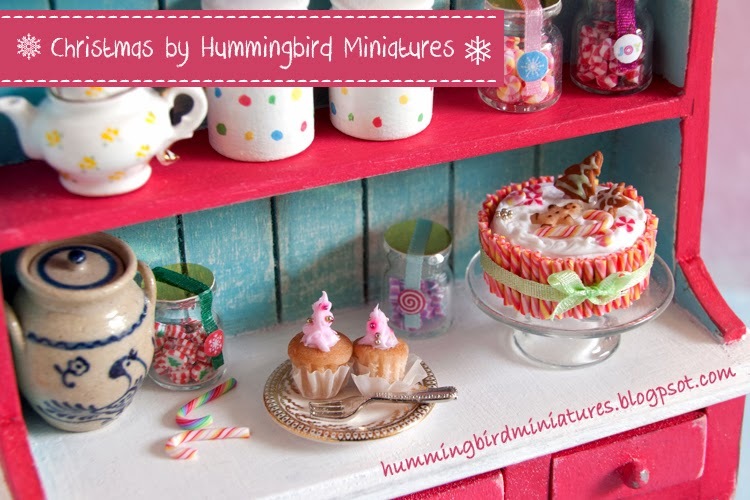 I only made one of these Christmas cakes, so if you'd like to own it then click on over to my online Hummingbird Miniatures Etsy shop! 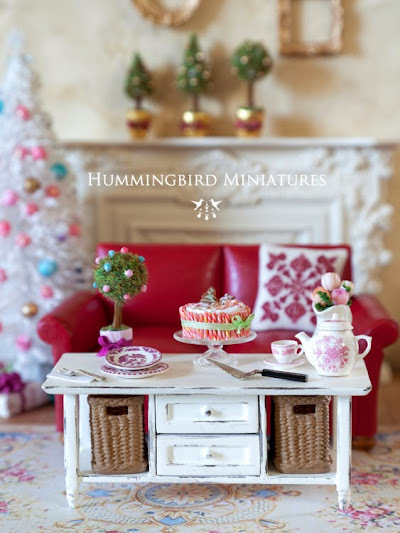 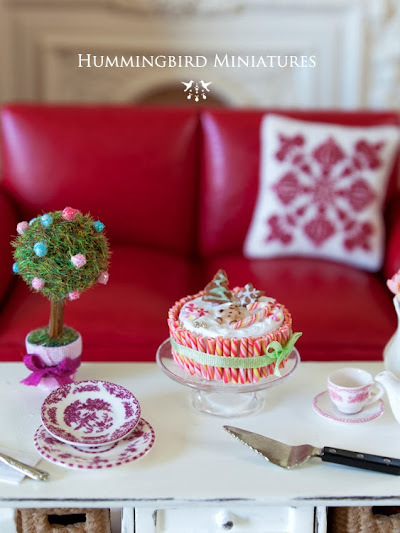 Also, this cake was featured along with other Christmas miniatures I made this year, in the magazine 'Dolls House and Miniature Scene'. 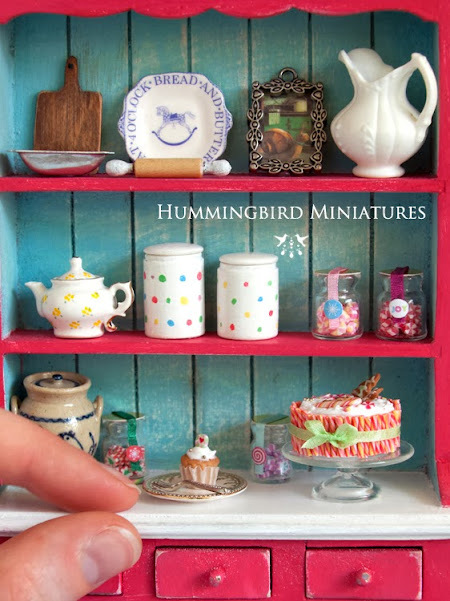 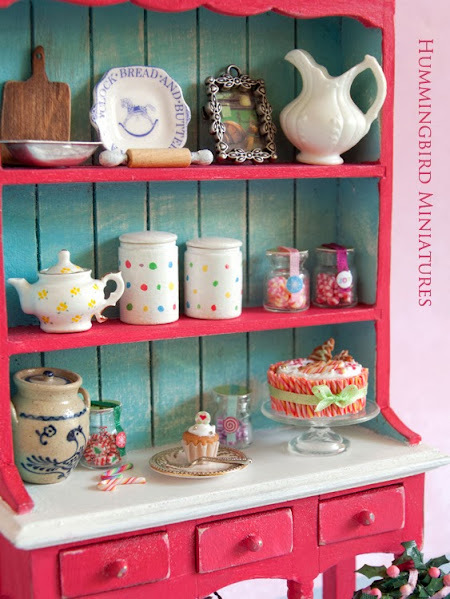 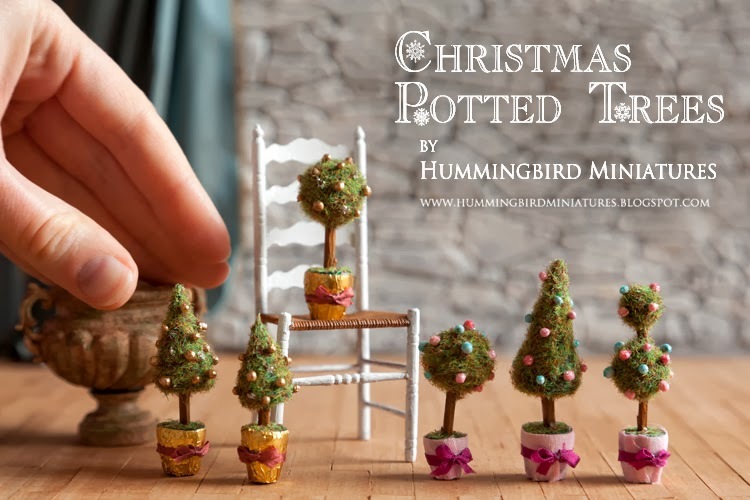 It's a fantastic magazine full of articles about miniature artisans discussing their work, projects and everything you need to know about miniatures really! 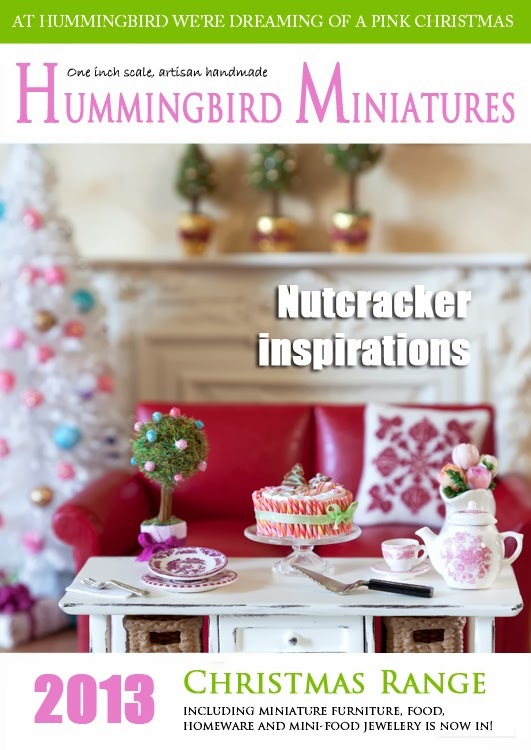 I highly recommend buying a copy or, better yet - subscribing. 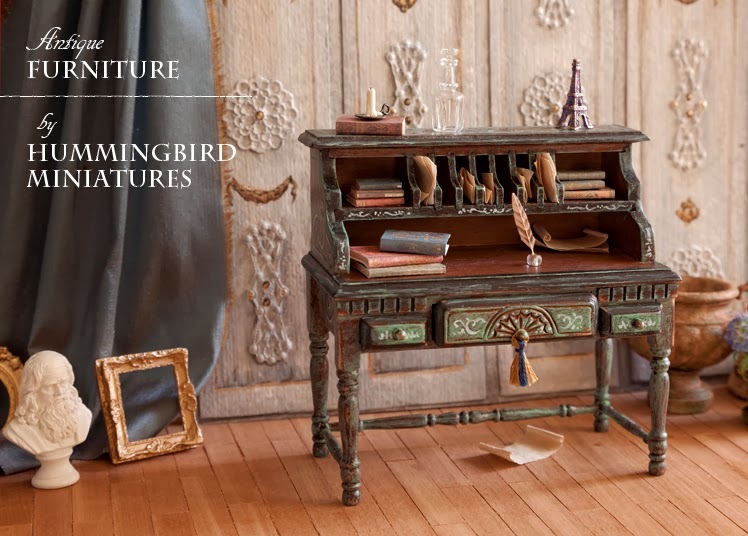 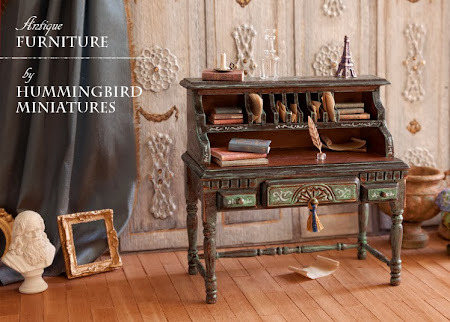 Just a quick sneak peek at what is coming soon... a new range of 'Antique' furniture such as this Italian writing desk. 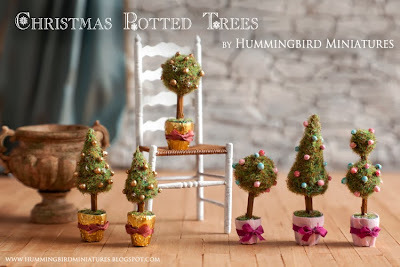 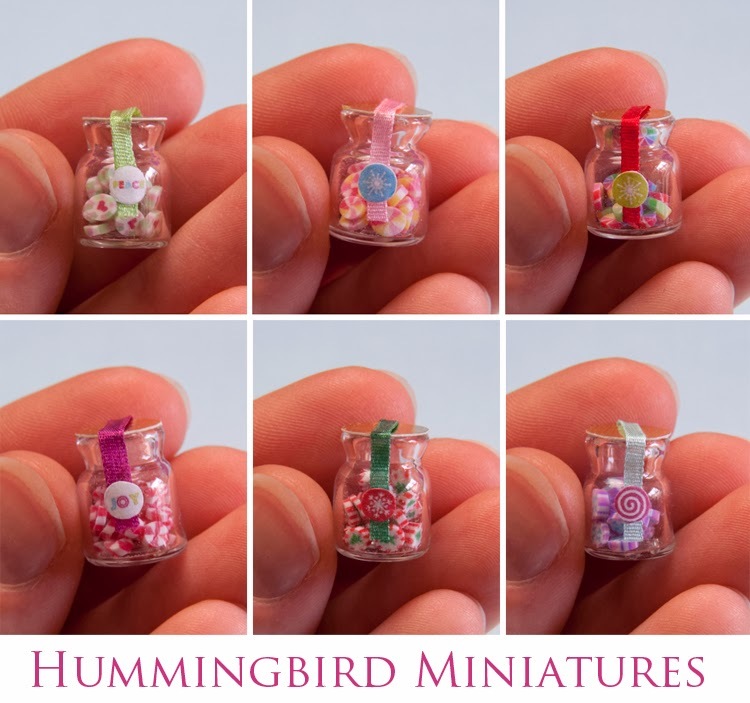 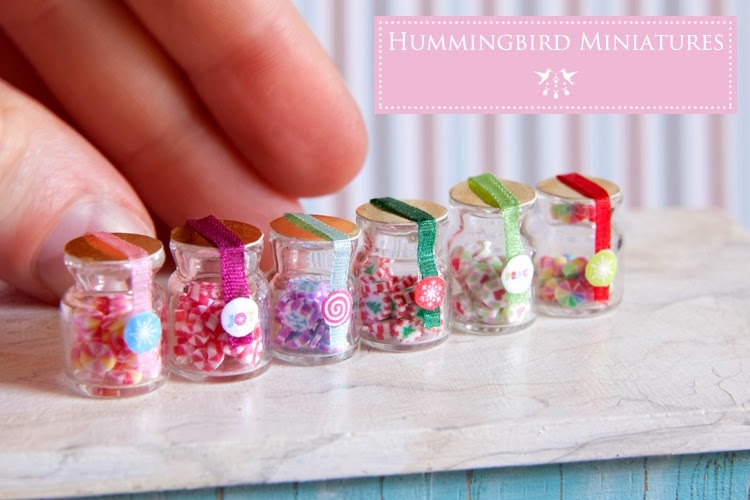 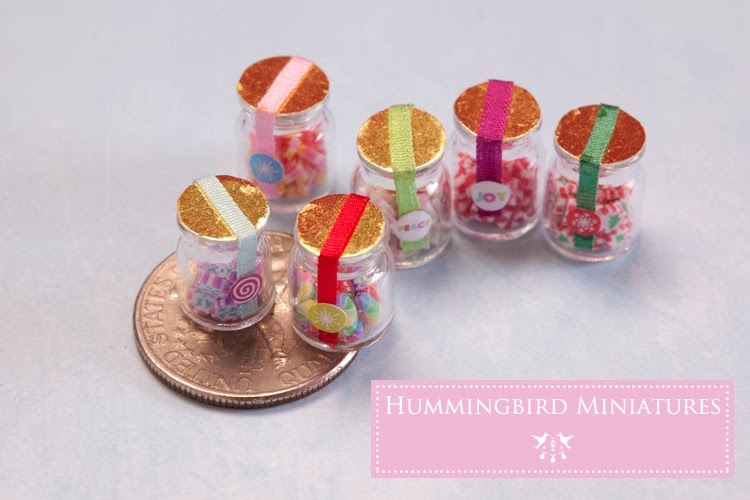 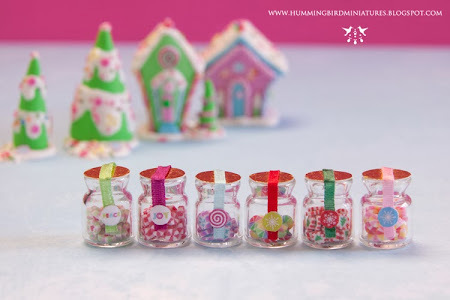 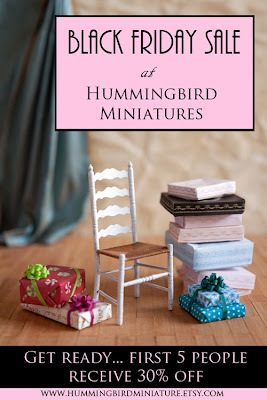 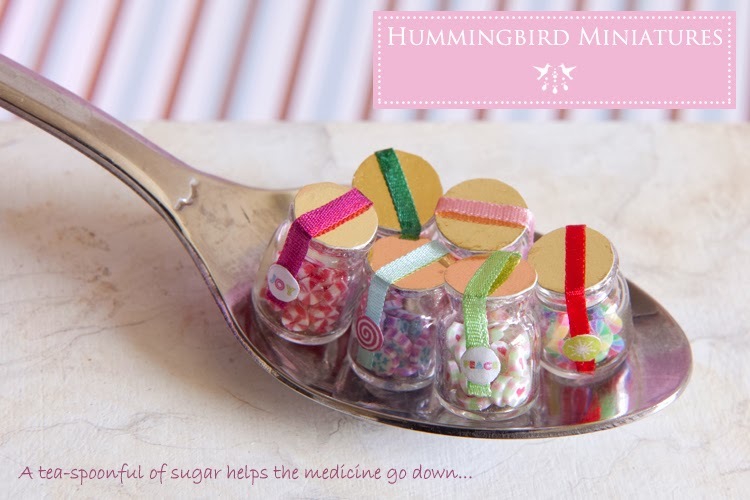 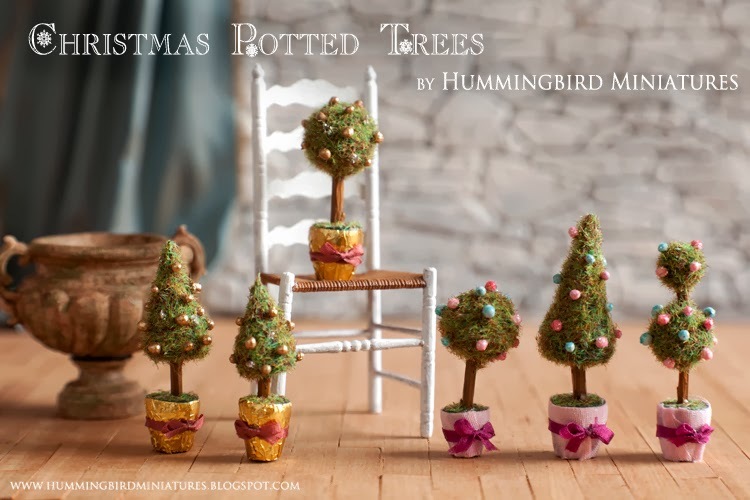 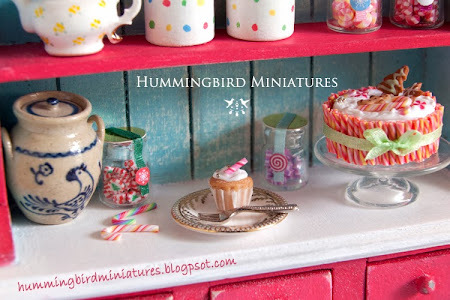 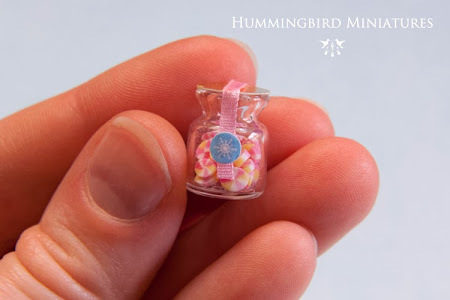 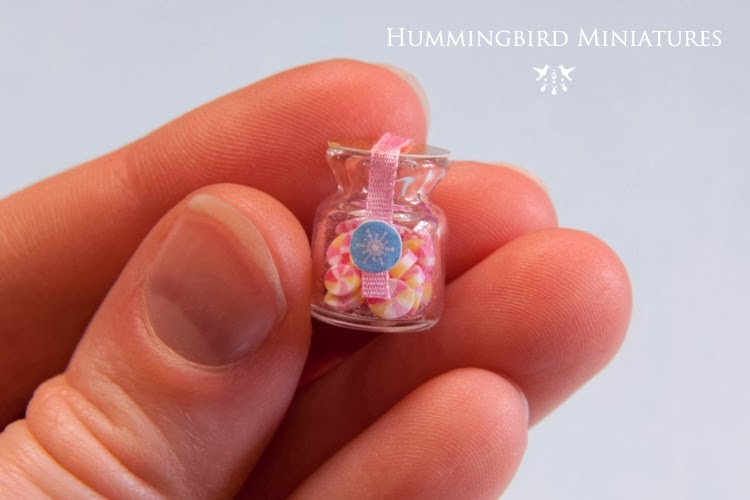 I'll be making OOAK (one of a kind) pieces and listing them for sale here and there at my online Hummingbird Miniatures shop. 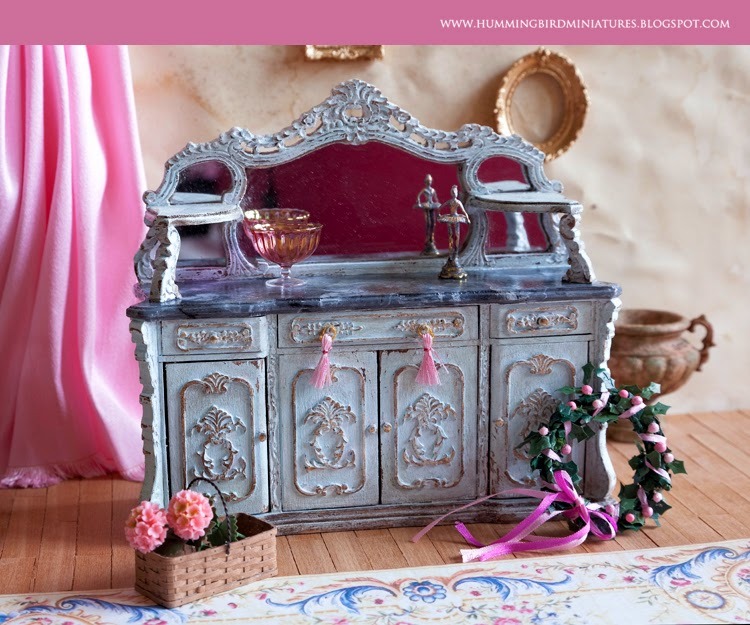 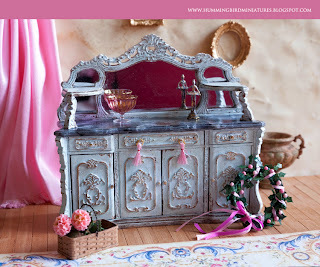 There are already a couple of pieces of furniture listed currently (a Nutcracker Screen and French Buffet). 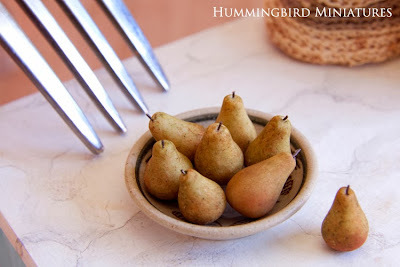 I only found out recently that Americans don't use the expression 'to go pear-shaped'. It's a well known expression in the UK and simply means to go wrong. I used the expression in an email recently and the American receiver didn't take my meaning at all! 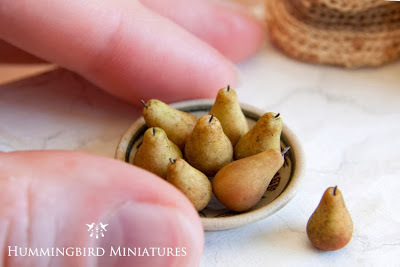 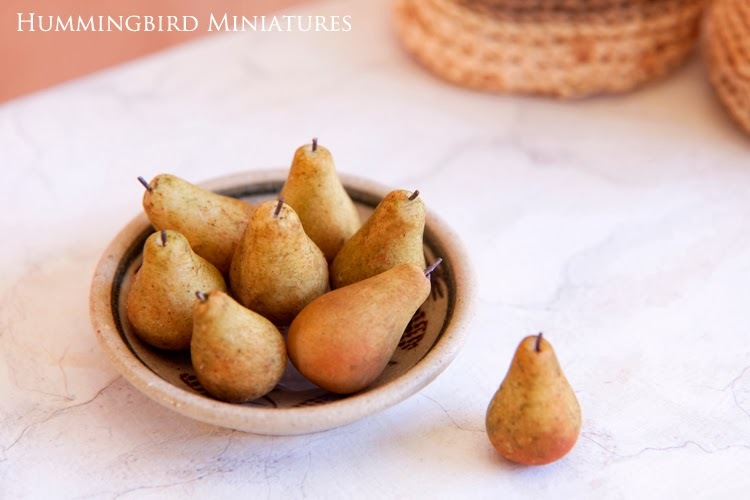 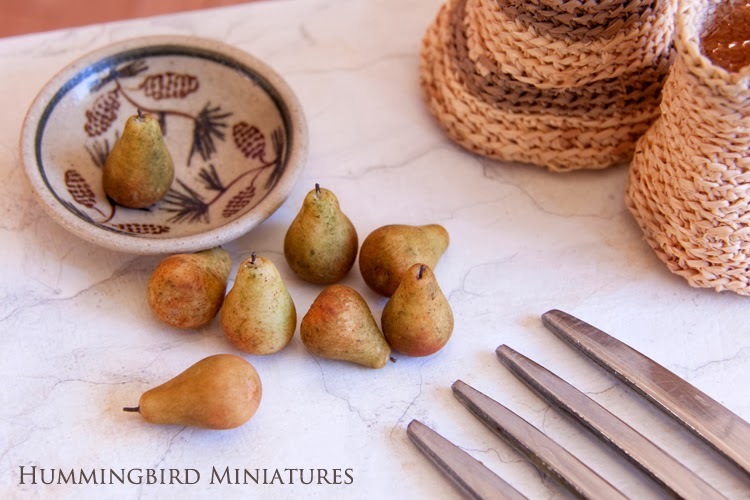 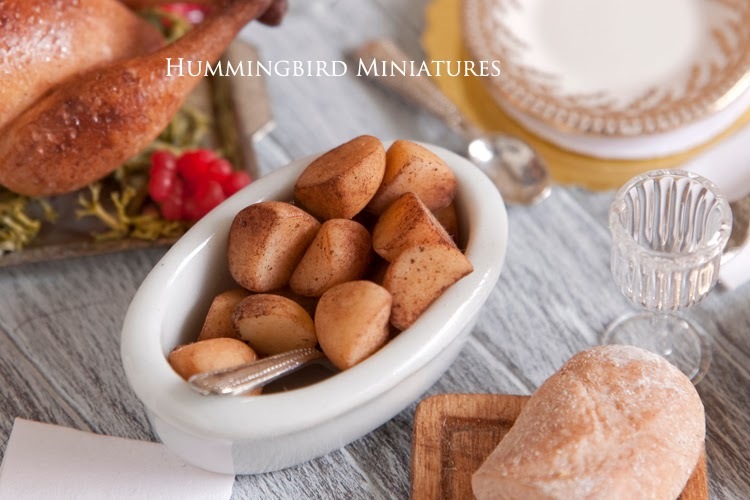 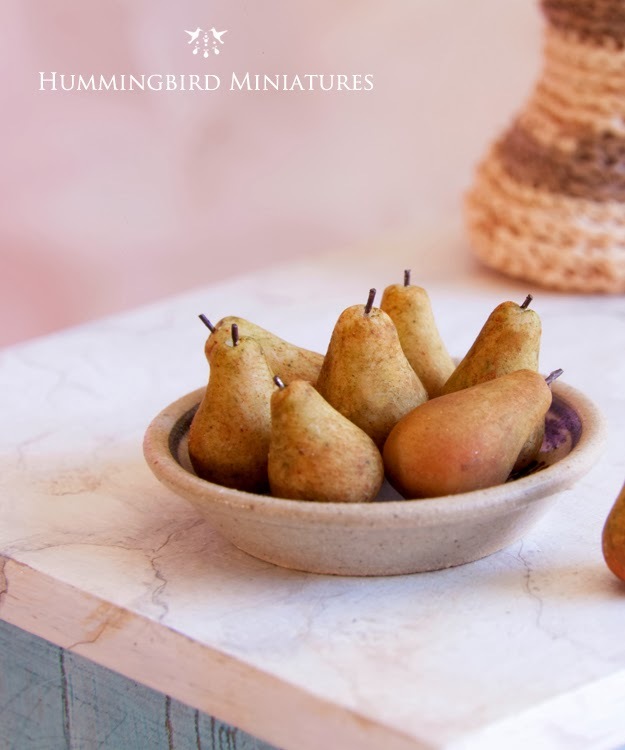 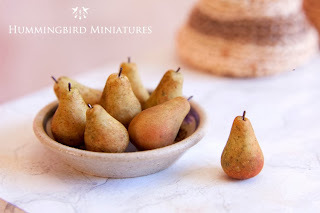 Anyway, I just remembered that as I listed some new realistic pears in my online Hummingbird Miniatures Etsy shop. 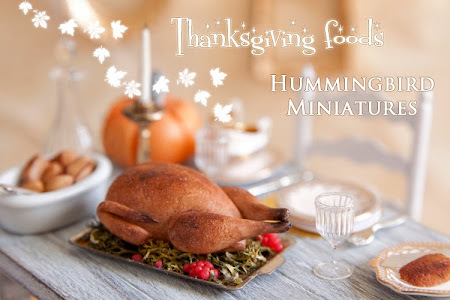 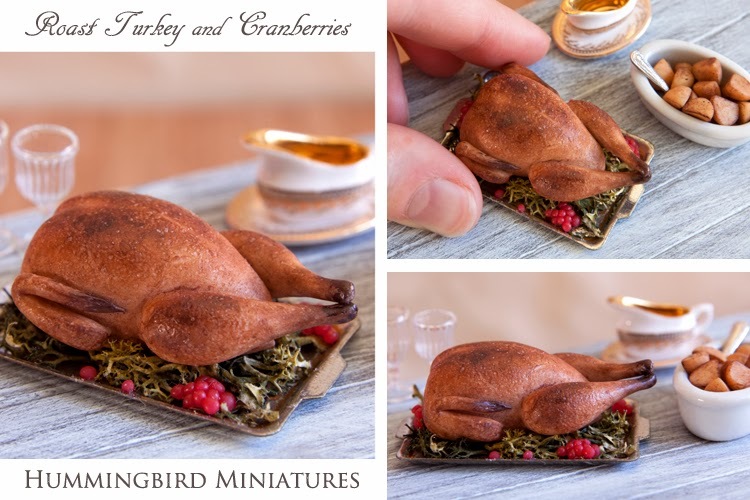 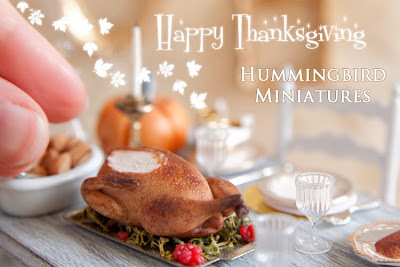 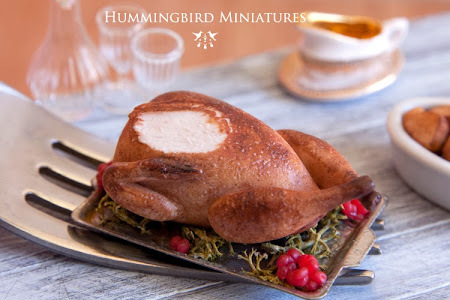 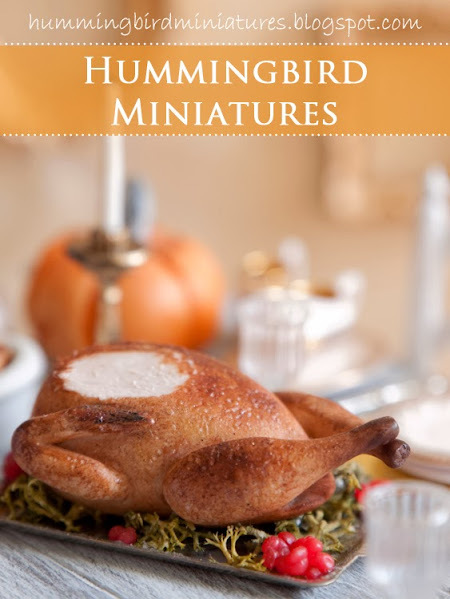 With Thanksgiving around the corner I thought I better hurry up and list my two new design turkeys at my online Hummingbird Miniatures Etsy shop. 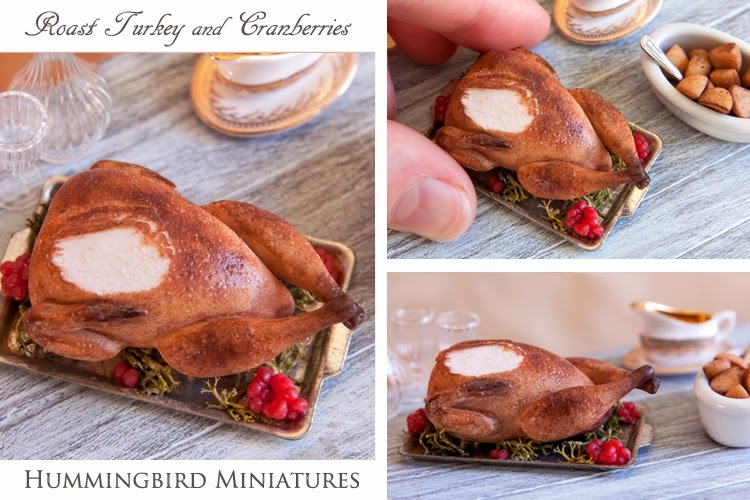 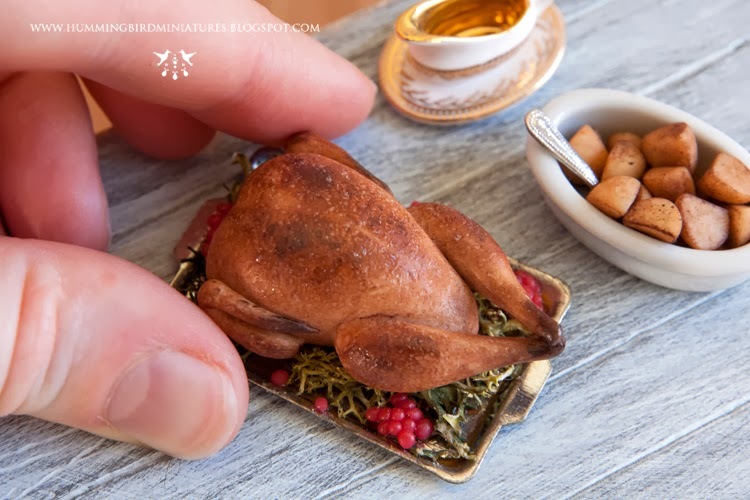 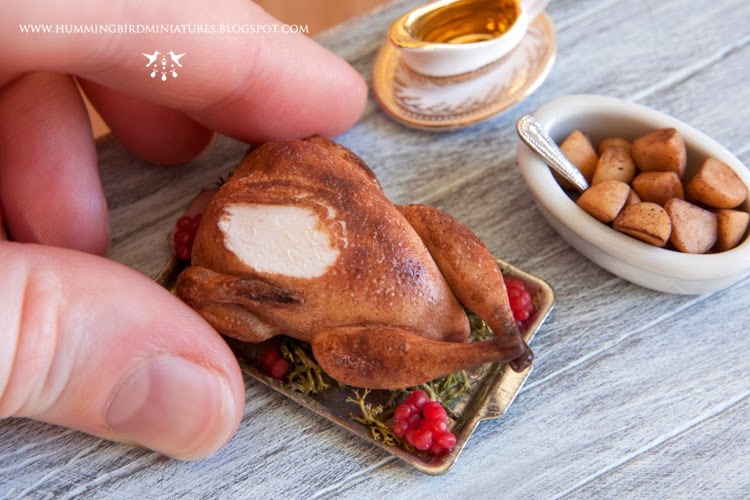 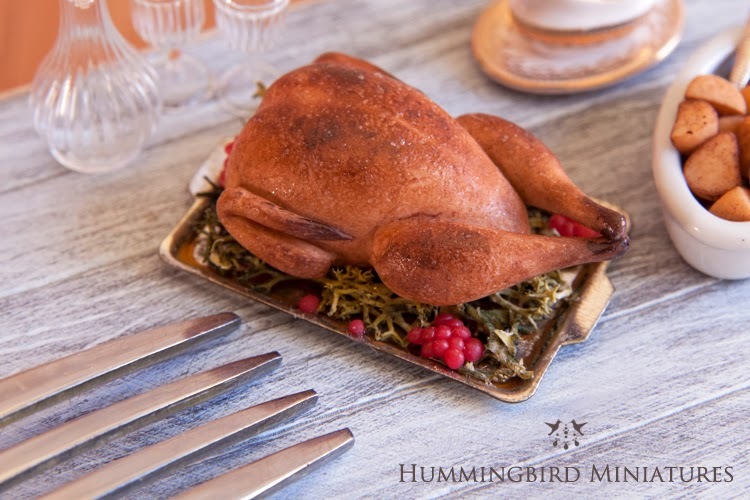 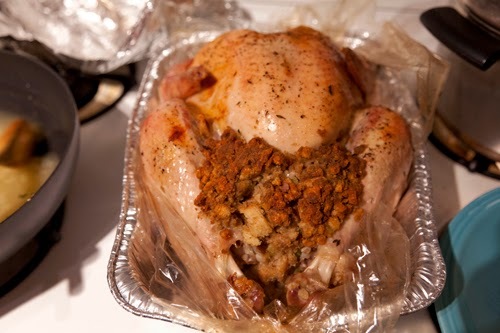 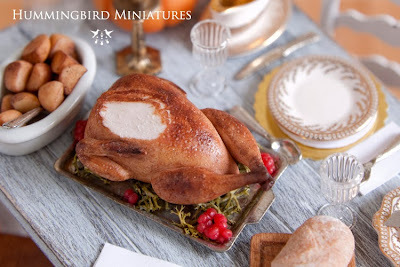 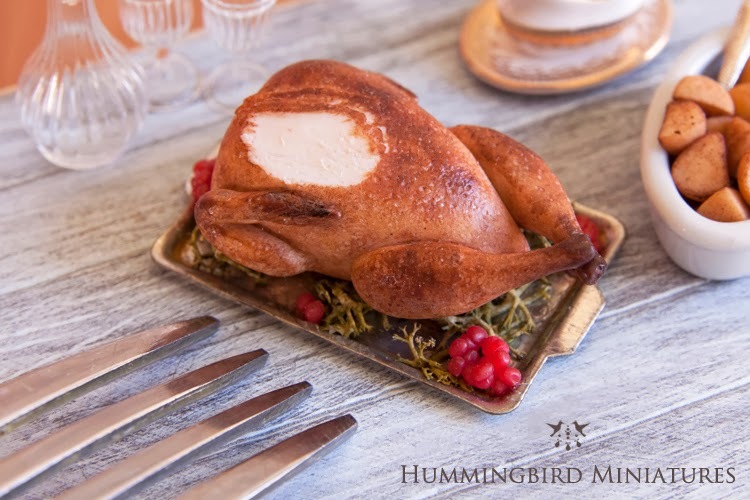 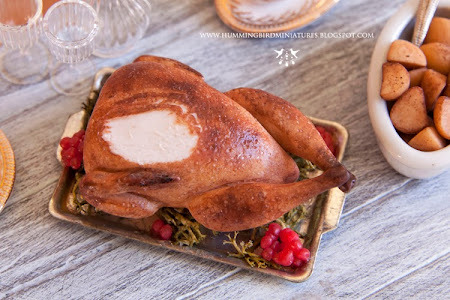 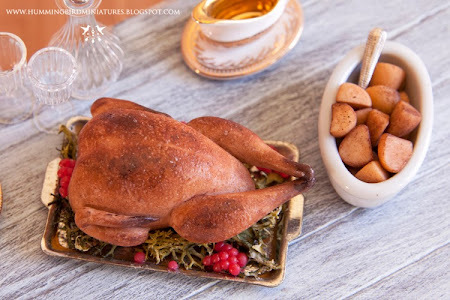 Find the one inch scale miniature roast turkeys here before they're gone!